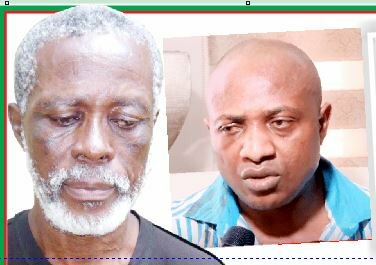 53-year-old suspected robber and kidnapper, Linus Opara, in his statement to newsmen said he is yet to understand how billionaire kidnapper, Evans, who did not attend any school, was able to lure him into kidnapping. Linus, who is a Civil Engineering graduate said: ”Do not look at my white hair; it is not as a result of old age. Rather, my hair turned white because of long suffering after my graduation as a civil engineer from the University of Ibadan. It is still a surprise to me how an illiterate person like Evans was able to lure me into kidnapping and all his illicit business.